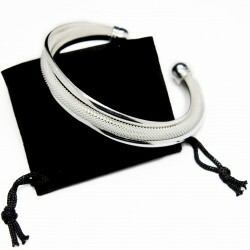 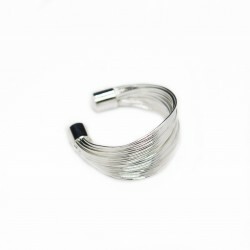 This wonderful Three Bands Silver Cuff Bracelet is listed under the women's bracelets category in our discount jewelry website. You won’t regret choosing this gorgeous bracelet that can’t be found just anywhere, it is affordable, very sober and trendy. 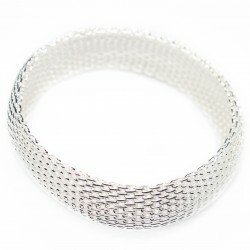 With a fairly simple pattern of two thin smooth silver bands that run on each side of a wider and imposing mesh textured band, this bracelet is one of the most popular on our site. 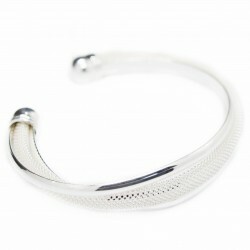 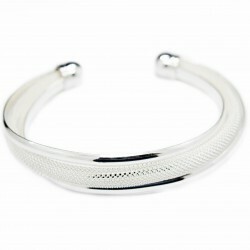 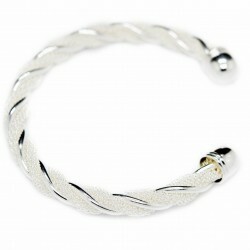 This rigid cuff bracelet doesn’t require any adjustments and will easily adapt to any wrist size.